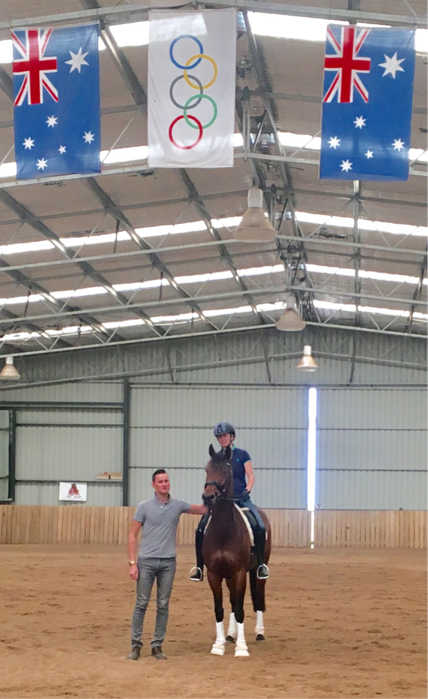 Fantastic 4 day clinic at JurAvon Equestrian Centre in Melbourne! 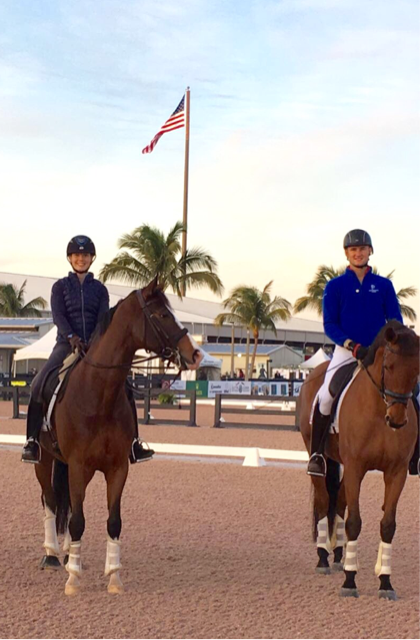 Loved how you related to all levels of riders and horses and was so positive and supportive we can't wait to see you again in Australia. AMAZING coaching!! Stephen helped me to work though every moment - good or bad, with confidence and positivity. Mate you left behind some happy riders in Australia, I have a feeling it will be hard to get a spot in your next clinic!! Stephen is absolutely one of the nicest people you could hope to know, both as a person and a trainer. 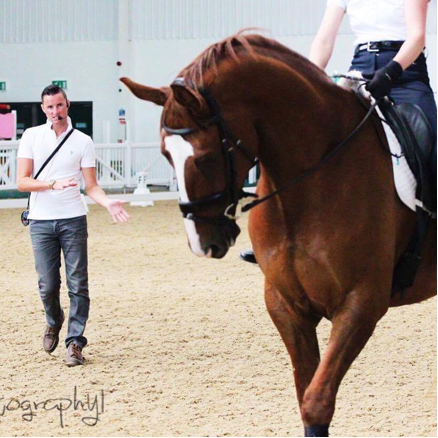 He's had the best possible dressage education and he combines that knowledge with empathy for the horse. 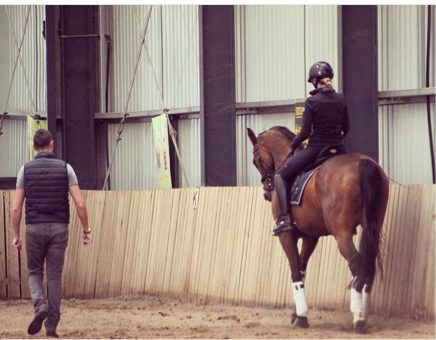 Like many, I'm very much looking forward to training with him again! 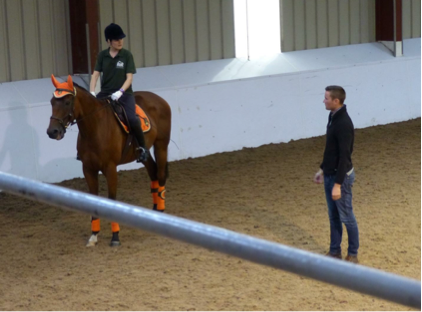 I booked two sessions with Stephen and this was my first clinic outside of normal lessons with my instructor. Being only a prelim rider on an OTT TB I was a little apprehensive that I would be out of my depth. 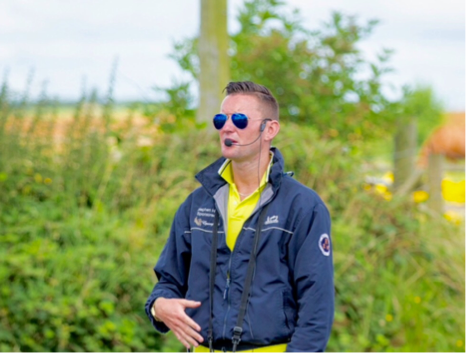 However, Stephen is a wonderfully adept, knowledgeable and empathic teacher who pitches his teaching so that it is both challenging but encouraging and enabling. 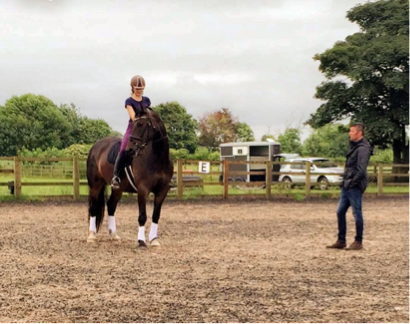 I felt my riding technique and confidence both improve under his generous guidance and I would jump at the chance to have another lesson with him. Thanks Stephen. I've had 1 lesson with Stephen and it's completely changed my horse! 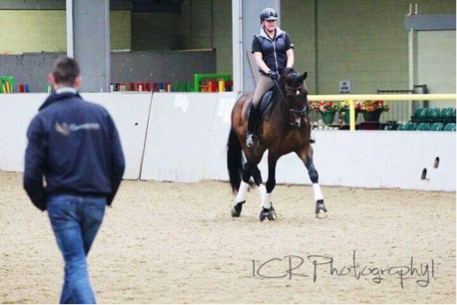 We've gone from being unable to ride into any kind of contact - rearing, bucking, spooking - to really working in an outline and achieving 68+% on intro and prelim tests which seemed totally unachievable for years! He made it so easy for me to understand and to take the skills I learnt and put them into practise at home. I'd give 10* if I could! Cant recommend his style and natural affinity to give to others. 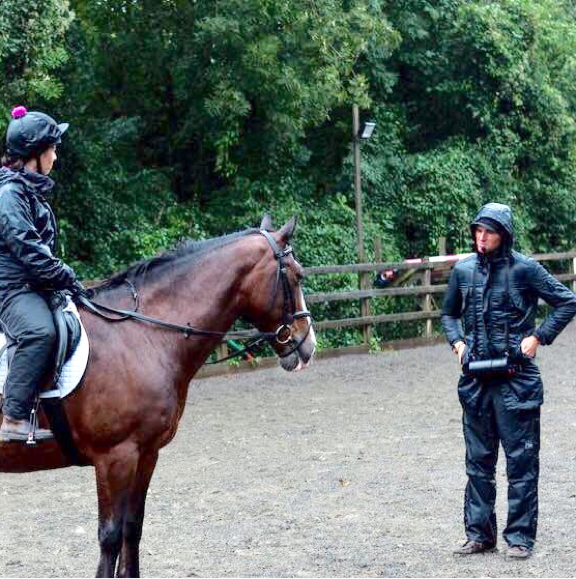 He is commendable ànd of high calibre as a dressage trainer. I look forward to his next Australian tour and would travel interstate and follow him round the country to maximise the amount of classes I could take...he's that good!! We booked a lesson for my daughter Natalia and a further session became available the next day, and with a little apprehension and hesitation I decided to go for it, given I'm more than rusty to say the least. (We have a mare who is basically trying it on, napping etc. and my 12 year daughter needs my support to get over this phase, so I needed to step up). Stephen quickly assessed both horse and rider and gave both of us a plan of action with simple steps and techniques to ...improve our riding and tackle this problem of bucking/napping and generally riding better. We both want you to know that we are very pleased with the quality of the lesson, so personalised to our individual needs. We have no hesitation in recommending your coaching sessions to others and we just can't wait to put into action the advice given. I rode Lola the next morning (couldn't wait to get back on) and guess what, not one buck! I can honestly say that after 30 years (I know it's hard to believe - not) of not really doing much riding since my local competing level as a teenager, I sat in the car on the way home and welled up a little with the realisation that the horse mojo is back, big time!! 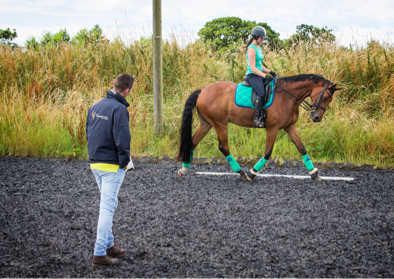 After my first training session with Stephen Hayes Dressage my horse was transformed at his next competition - winning both his PSG's! Stephen recognised the problem straight away, have been so impressed Ive booked on two more clinics with him. ABSOLUTELY AMAZING!!! Getting tears in your eyes on the way home thinking how incredible the ride felt is just what you want coming from a lesson. 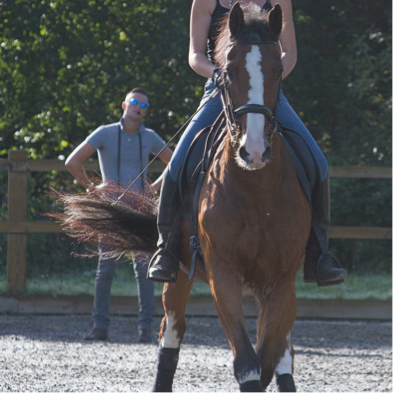 My horse is a couple of months off the track so he started out tense and nervous but by the end you wouldn't think he was the same horse, the improvement was incredible. 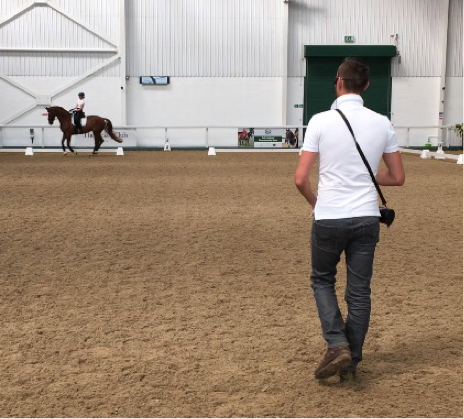 He watched us go round and worked out the best course of action and I cannot tell you how well it worked... within a few rounds of the arena he was starting to listen and work like he is supposed too. Had 2 great sessions on completely different horses. I didn't really know what to expect as I've never attended this type of clinic. But I was over the moon when I could get my boy Bud moving almost effortlessly, though he is not your typical dressage horse. On Eddie, it was magic and I couldn't believe being able to do my very first half-pass! All because Stephen talked through every step of the way and broke it down in such logical and easy steps to do. Still lots to do, so looking forward to future sessions.